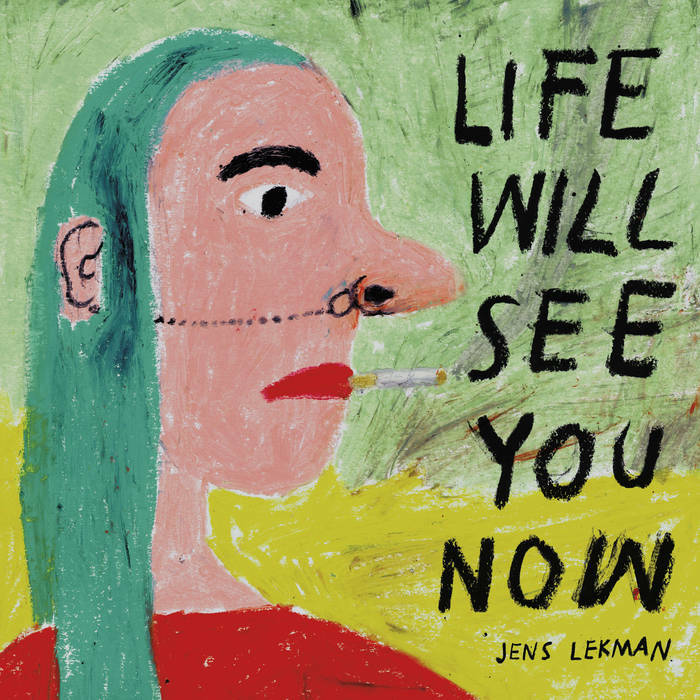 Those of you who’ve been with us from the beginning know of our deep love for Jens Lekman. I was infatuated with his “Black Cab” single for most of 2004 (my post has since disappeared but the song kicked off this vintage podcast). Then Lisa broke down everything that’s right about Jens with his 2007 album, Night Falls Over Kortedala. Now it’s 2017, Jens is 36 years old, and he’s in many ways the same Jens – an open book of a songwriter who can take you deep into his heartache without trafficking in self-indulgence. What’s changed is his production repertoire. Once relying on minimal accompaniment to seal the intimate feel of his songs, his latest, Life Will See You Now, moves his heartbreak and introspection to the dancefloor in a way that’s both absurd and earnest at once. The opening track, “Know Your Mission”, recounts his encounter with a Mormon missionary in 1997. It starts with spare piano and Jens’ familiar sing-speaking, then breaks into a ridiculous party beat only to return to form by the end. “How We Met, the Long Version” brings Jens’ habit of hyperbole to a Soul Train-worthy crescendo. He tells a condensed history of the earth that culminates in a fateful kiss in the backyard. Why the sudden passion for calypso, samba, and disco? I’m not sure, but I’m going to chalk it up to maturity. Jens has become more comfortable stepping outside of himself with his lyrics. And he’s willing to let his hair down (so to speak) to remind us his songs are, after all, just words set to music. Dungeonesse is the electro-pop side project of Jenn Wasner of Wye Oak and John Ehrens of White Life. While the music is a night and day difference from Wye Oak, Wasner’s unmistakable voice is as strong as ever. Their self-titled debut with Secretly Canadian came out in May. It’s a definite summertime album, perfect for cruising around town with the windows down, and the volume cranked up. Check out the slow-jam vibe of “Nightlight” followed by the more up-beat “Shucks” below, you’ll be glad that you did. It’s been pretty cold where I live. Mother Nature has been teasing us with hints of spring for the past few weeks. Giving us a warm day followed by a week of cold days. The forecast looks to be in our favor, finally, with consistent warm days coming up in the forecast. The warm, almost tropical sounds of Cayucas debut album, Bigfoot, has been the perfect soundtrack to get me through these cold days. Check out the driving beat, shimmery guitars and Zach Yudin’s echoed vocals on, opening track, “Cayucos” (below), It’s the perfect song for that summer mix tape, and is just a taste of Bigfoot‘s awesomeness. Be sure to snag Bigfoot on April 30, from Secretly Canadian. As a parting gift for the last week at my job, my coworker Lisa sent me some music recommendationsâ€”and when Lisa sends recs, I tend to listen because her mad skillz at free-MP3-mining far surpass my own. Frida HyvÃ¶nen was on that list, though with the caveat that the record was released nearly a year ago in Frida’s native Sweden (it’s spankin’ new on Secretly Canadian in the U.S.), so for you Northern European seekers, this may be old news. But for the rest of us, it’s a refreshingly enigmatic gust of cool air. HyvÃ¶nen is a sort of Scandinavian Joni Mitchell, a post-feminist proto-poet with the voice of an angel and the outlook of Kierkegaard. The track here is short and bittersweet. The rest of the album multifaceted and addictive. Take Lisa’s advice and pick it up. There is a God! And he’s not just talking to George Bush. He’s obviously tipping off Secretly Canadian to rare, indispensable music. Yeah, I’m slightly excited this record is finally coming out here in the states (October 25th). I missed them this last year at SXSW because frankly, I just couldn’t stand up any more. The five pounds of succulent BBQ from The Salt Lick didn’t exactly help the cause. So I can’t vouch for the band live, but I can vouch for the psychedelic groove you’re about to ride.